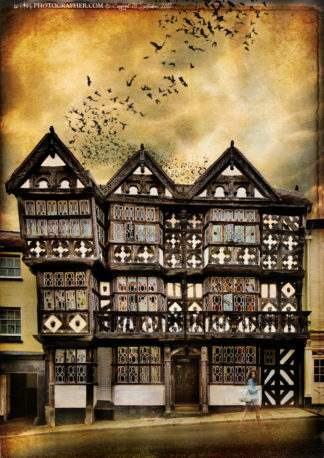 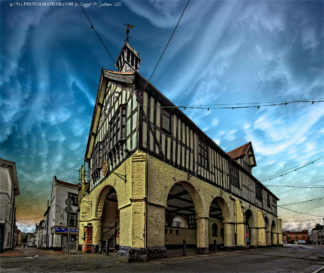 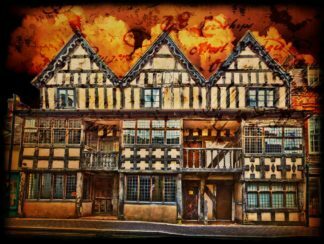 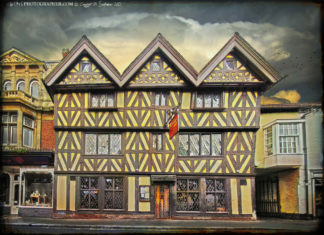 Most ordinary homes in Tudor times were half timbered – they had wooden frames and the spaces between were filled with small sticks and wet clay called wattle and daub. 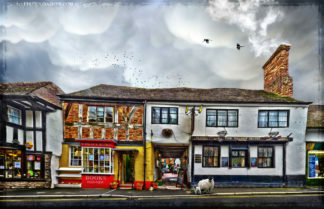 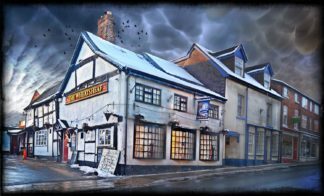 Originally, black and white buildings weren’t black and white, but the natural colour of the oak beams and the colour of the soil in the locality, mixed with lime and ox blood. 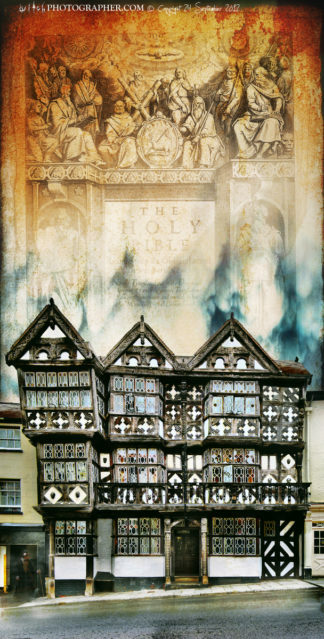 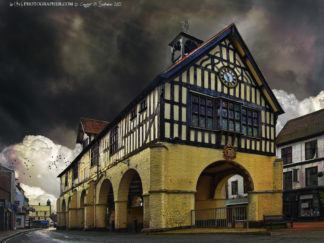 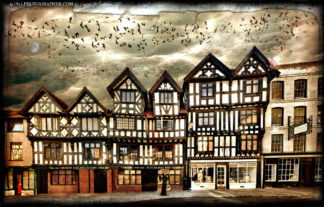 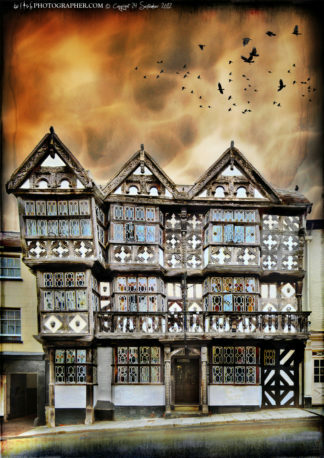 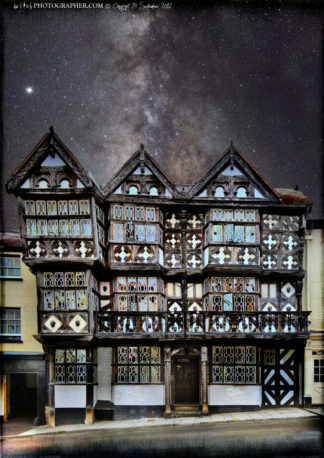 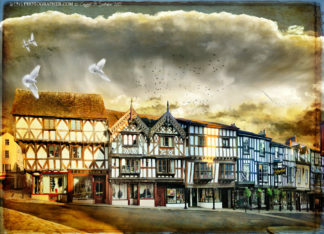 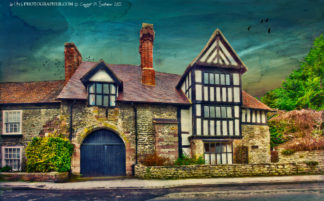 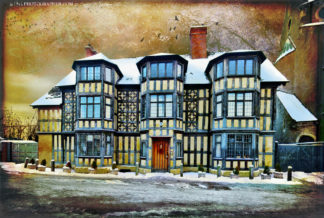 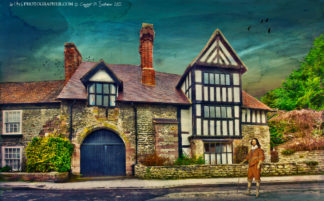 Tudor houses are known for their ‘black-and-white’ effect. 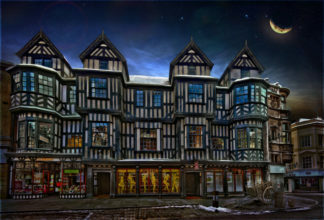 Merchants would compete for store-front space, so the ground floor area would be limited by the amount of space available. 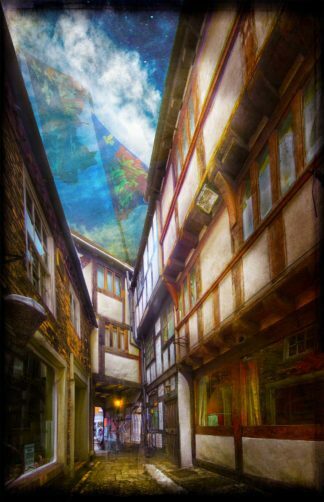 From there, the upper floors would overhang the ground floors, enlarging the square footage on the upper stories. 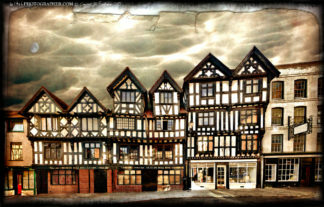 For the wealthier merchants, the exposed wood beams would be elaborately carved or shaped. 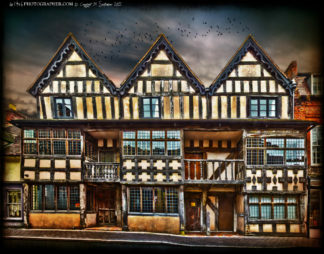 For the less prosperous, the homes were usually only two stories high and there was little or no carving.